Que syrah, syrah….True, the lyrics to that lovely song may not be spelt that way, but this syrah will be, exactly what it should be: ripe, red, and luscious. 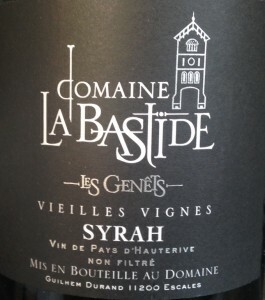 Domaine la Bastide Syrah Vielles Vignes 2010 offers a beautiful combination of black Pepper and black cherries, purple plum and cassis on the nose and a full, ripe dark fruit flavour. It has a strong finish, and is polished in texture. Grown on the sunny slopes of the Mediteranean hillsides on the north end of the Appellation “Corbières.” The grapes are left on the vine to attain ideal ripeness before being picked in the evening or early dawn, which allows Domaine la Bastide to harvest the grapes at a chilled temperature. Pairs beautifully with all sorts of grilled red meats and cured cheeses. Not to be cliché and only speak about Champagne at New Year’s, but we are! Ring in the New Year with golden, classy flutes filled with Ployez-Jacquemart’s Passion NV. This cuvée was created to be rich and elegant. Pale gold in colour, it is a floral wine with lightly toasted notes. On the nose you will find mineral scents along with lemon, orange zest, jasmine, very complex, but not overly heavy. On the palate, citrus and orchard fruit flavors, slightly honeyed at the finish offering excellent balance. The wine is deep, full-bodied, with brisk acids and a very refined mousse. This impressive glass of bubbly is fresh and impeccably dry. Passion is made up of Grand Cru and Premier Cru grapes picked in the 2004 harvest (55% pinot noir, 5% pinot meunier, 40% Chardonnay). To add structure, about 1/3rd of the wine is matured in oak barrels. To create further complexity, Ployez-Jacquemart adds 25% of older wines. The champagne is then cellared for at least 4 years aging sur-lees, then it is disgorged and toped off with an ultra low dosage. On the right bank of the Rhône, in both A.O.C. St. Joseph and Cornas, Eric and Joel Durand have been making internationally acclaimed wines together for several years. 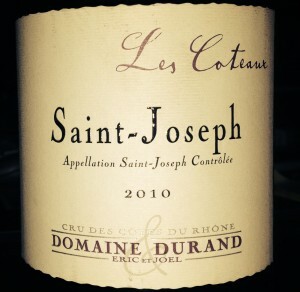 The St. Joseph Les Côteaux 2010 is a fantastic red wine that they produce. 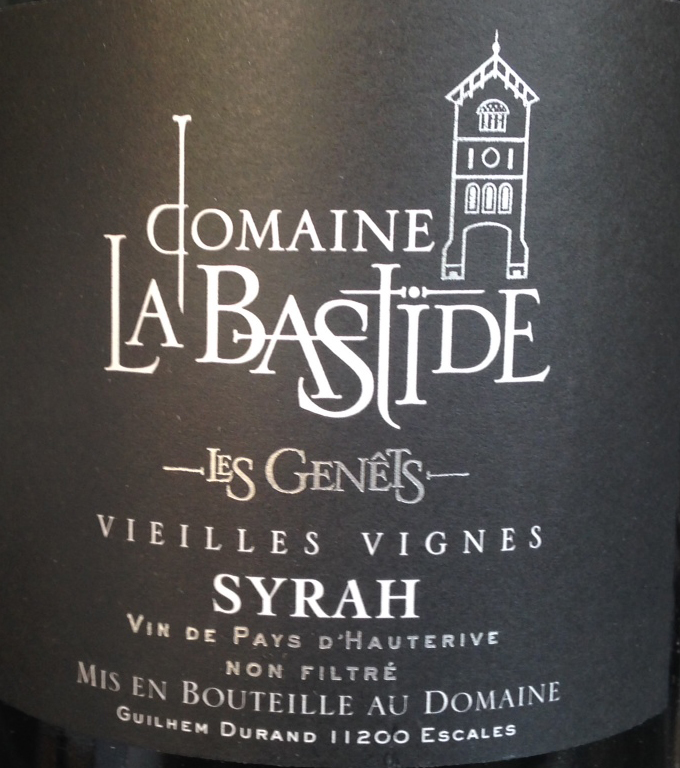 This 100% Syrah is vibrant, and has a great balance of freshness to ripeness. 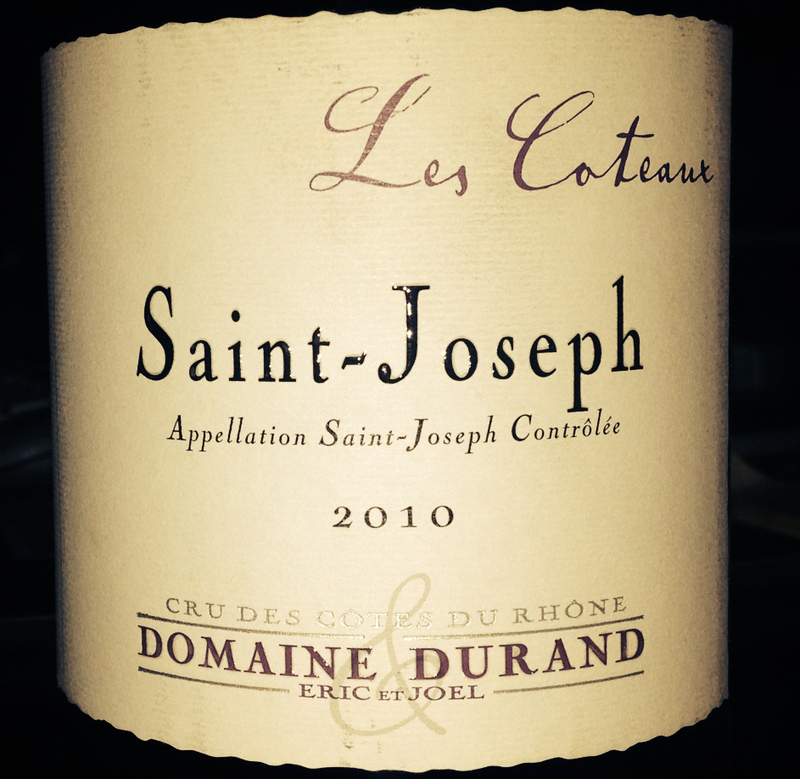 With a ripe nose of red fruit, and a full fleshy mouth of black cherries, oak, lavender, cassis, blackberry and plum, the St. Joseph Les Coteaux is supported by nice concentration and rounded tannins. This wine will age well, and is best from 2013-2019. Only 1,800 cases were made. Don’t forget to save room for dessert! 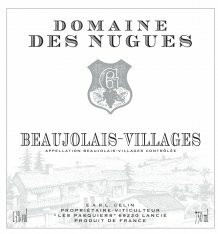 This delicious dessert wine is composed of 90% Grenache noir and 10% Carignan. The color is opaque purple. Nose of pepper, spice, herbs, with medium intensity. On the palate, complex, structured, full of flavour, long length and spice in the back, a very complete wine with bramble fruit and juiciness and 100g of residual sugar per liter. The 25+ yr old vines are cultivated without herbicides, chemical fertilizers or synthetic products from a soil of clayey limestone and yellow marl. 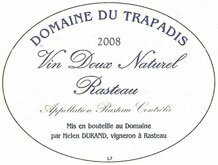 Domaine du Trapadis carefully controls the yield of the vines, with a plantation density of 3,500 vines per hectare. One of our oldest friends and producers, François Villard, located in Northern Rhone in the town of Ampuis. 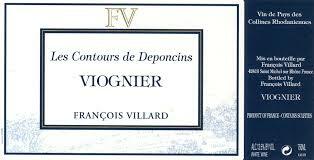 Known as a Condrieu Master, Villard has seduced us yet again with his Viognier Les Contours de Poncins 2012. This viognier is an exceptional value as it is grown just outside of the Condrieu appellation, and holds many of the characteristics an excellent Condrieu. Rich and concentrated in character with mineral aromas on the nose, both fruity and sweet flavors of peaches, apricots on the pallet, along with complex caramel and toffee that linger on the finish. This wine will pair beautifully with raw oysters, crab or shrimp salad, mild curry dishes with white meat or wild mushroom risotto. With the holiday season upon us, it is time to break out the bubbly! Domaine du Collin offers uncommon elegance and affordability in its sparkling white with a light, frothy mousse, fresh citrusy nose, medium body, both crisp and dry. The chardonnay gives the wine its brightness and acidity, the chenin blanc adds richness, and the pinot noir adds depth. Domaine du Collin is a bio-diverse farm in the Limoux region that produces its wines with no chemical fertilizers or weed killers. Collin himself was raised by a vigneron in the Champagne region and brings his knowledge of champagne to Languedoc. This is a great alternative to champagne for holiday parties. 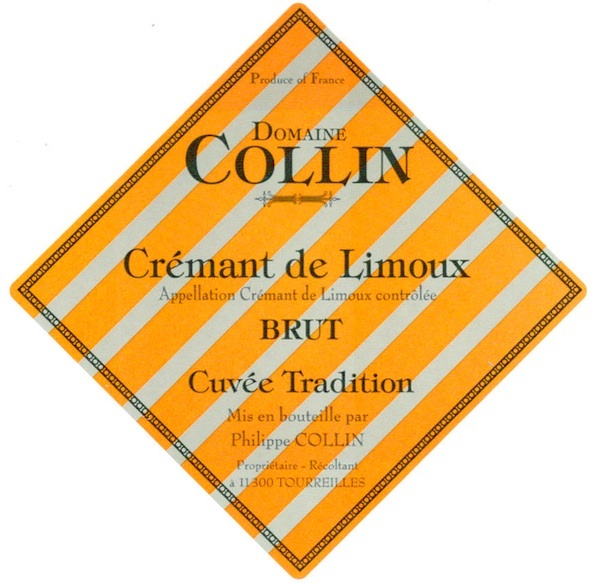 Domaine du Collin also produces a wonderful sparkling rosé that should not be missed. 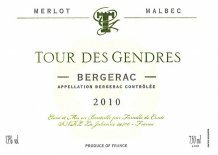 Garnet red with violet hues, the color on the Tour des Gendres Classic Rouge 2010 is profound. The nose is clear and powerful, with ripe fruit and sweet spices. The palate has fine structure, and ends on a nice sweetness. Raspberry and cherry fruit enveloped in vanilla and savory cedar wood. This is a wonderful, organic wine with crisp, cool, unmasked flavors. This Domain has been run organically for nearly 20 years now, and the soil is rich with life. Herbicides destroy life in the soil, but natural compost promotes life in the basement and reveals the character of the soil. The strength of these vines have naturally changed the taste of the wine over the years, the alcohol level is lowered, the natural acidity is increase, the mineral character of the land is stated on the red and white wines, tannins are rip and soft and the flavors are typical of their plot of origin. The persistence of these features perfect the style of Tour des Gendres wines. These qualities are appreciated by wine lovers, and are easily recognizable. 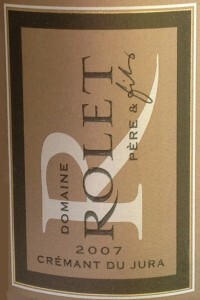 For an excellent sparkling white wine, Domaine Rolet’s Crémant du Jura 2007 offers a dignified alternative to champagne. With fine bubbles that rise slowly yet with persistence, this full-bodied wine is pleasant and delicate. The nose is floral, offering white flowers and hawthorn. 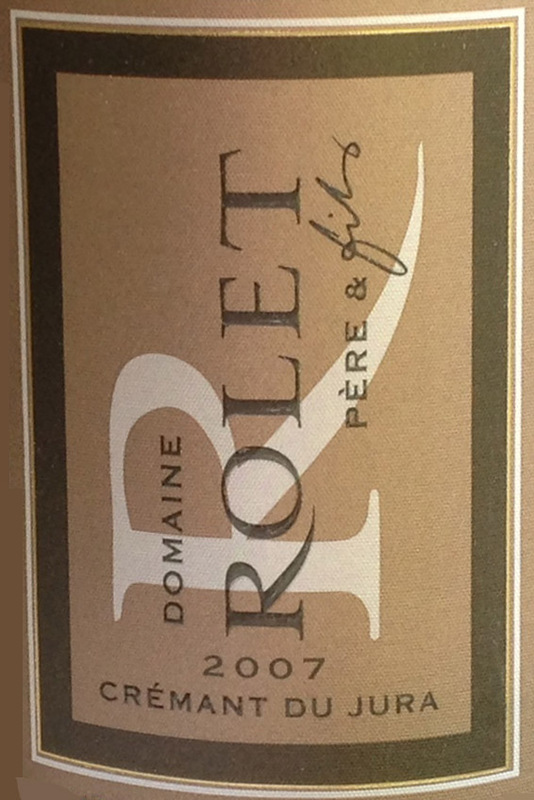 Tart pear, citrus and apple with light minerality and creamy texture on the palate. The color is pretty, pale gold with green glints, and wine is made of 54% Chardonnay, 23% Savagnin, 23% Poulsard. This is an all-occasion wine and can be enjoyed as an aperitif, at the end of a meal or any time day or night. 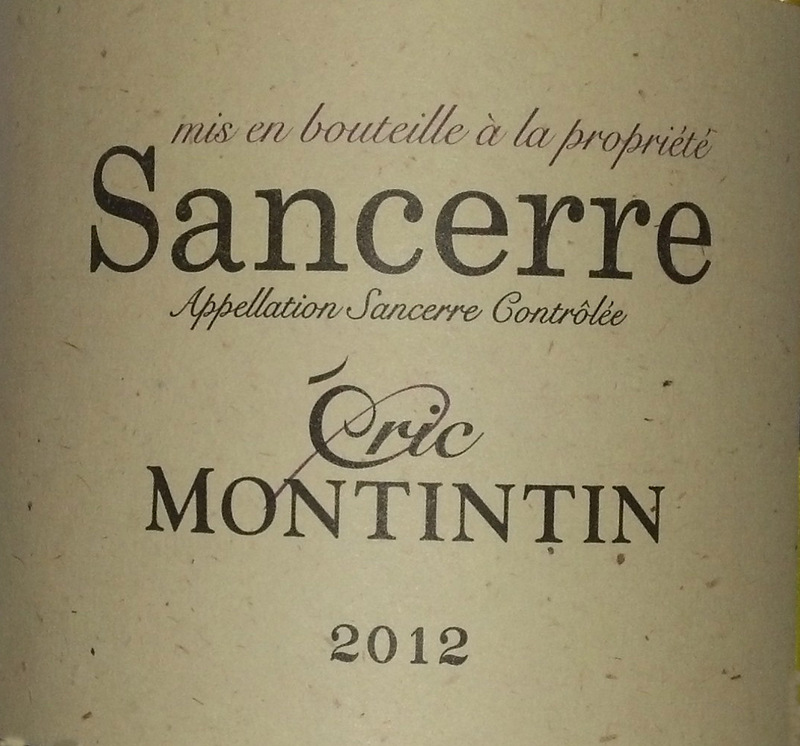 Domaine Eric Montintin is located in the small town of Savigny-en-Sancerre, just 10 km north from the village of Sancerre. The Montintin vineyard is farmed organically. The grapes are hand-harvested and fermented only using indigenous yeasts. There is a reliable fruity element in almost all Sancerre wines, tending towards citrus characters, which complement the wine’s high acidity, and work in harmony with the wine’s minerality rather than overpowering it. Key soil types are divided into limestone, marlstone, clays of various compositions and most importantly, flint. 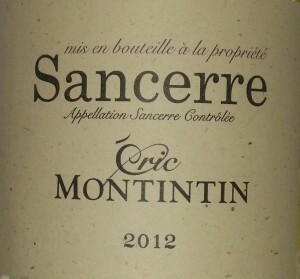 On the palate, the 2012 Eric Montintin Sancerre is crisp and dry with bright acidity. On the nose ripe grapefruit, lemon zest and a touch of grass are present. It pairs well with a variety of seafood, and also goes delightfully well with goat cheese, nuts and crackers.